Only one gallon of motor oil will pollute one million gallons of water! Recycling is the only environmentally safe and legal method to dispose of used oil. Chino Hills residential customers may visit the City Clerk's office, located on the 2nd floor of City Hall, during normal business hours to pick up a special used motor oil container, and then call Republic Services at (866) 238-2444 to arrange for a special FREE pick-up. Pick-ups are limited to two 15-quart containers. Another easy and convenient way to recycle oil is to take it to a State Certified Used Oil Collection Center. 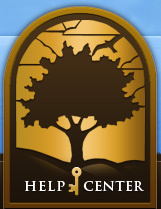 To locate the certified center nearest you, call 1 (800) CLEAN UP. All other Household Hazardous Waste items must be taken to a collection center.